All the images have been published with the kind permission of the respective copyright holders. 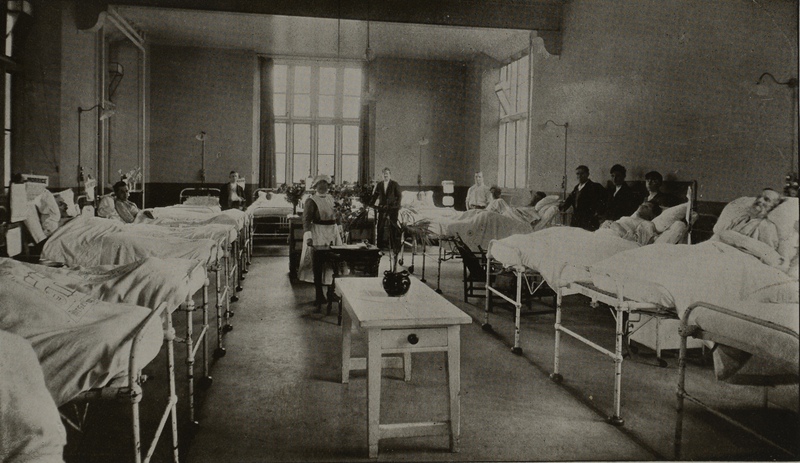 This is the earliest known image of a ward interior at Dorset County Hospital. It was taken by Thomas Grigg, photographer of Dorchester, in 1886, and is now held by Dorset County Museum. 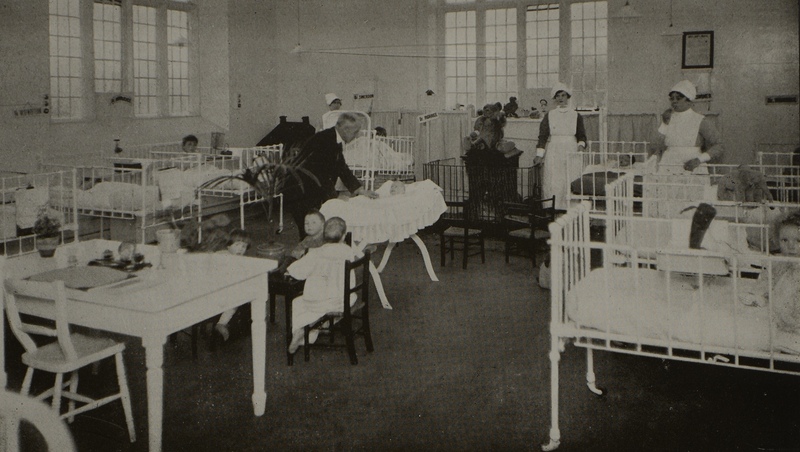 One of the more striking features of this photograph is the mix of adults and children on the same ward. 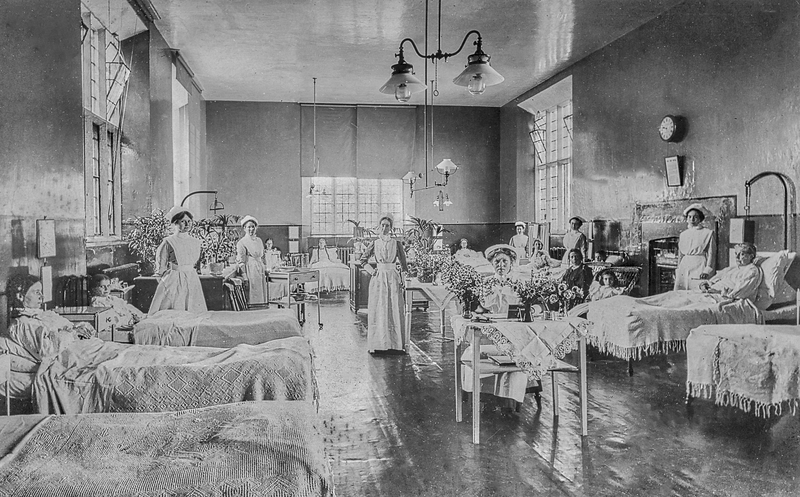 This picture, held by Dorset County Museum, is thought to be a female ward during the First World War. 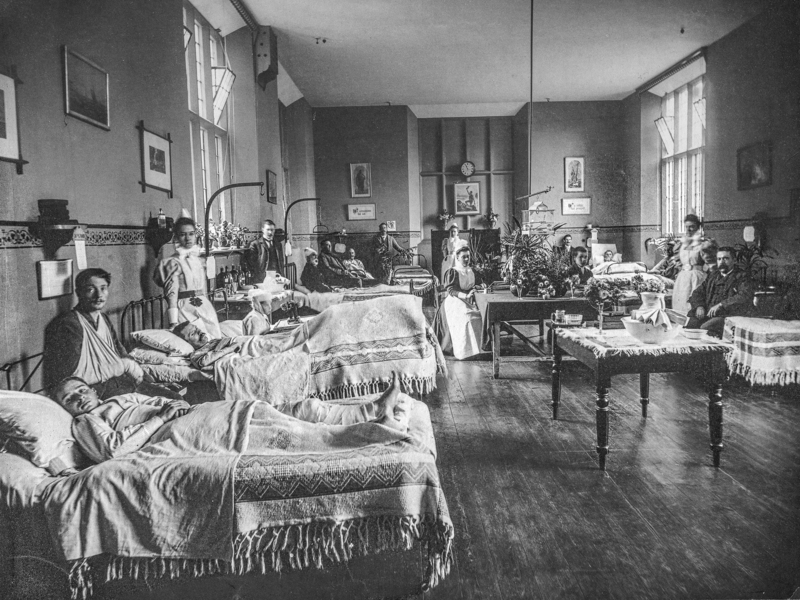 The room looks remarkably similar – in terms of windows and the fireplace – to the female ward in 1927. Published in the hospital’s annual report for 1927, at Dorset History Centre (reference NG/HH/DO(C)/2/1/2, between pages 22 and 23). 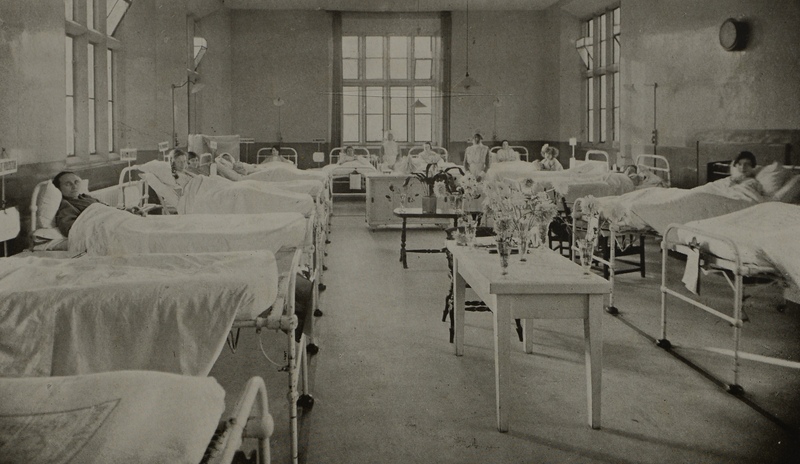 Published in the hospital’s annual report for 1927, at Dorset History Centre (reference NG/HH/DO(C)/2/1/2, between pages 4 and 5).